Justin joined PCRA from Syracuse University where he served as Associate Head Coach of Syracuse University Men’s Rowing, and men’s recruiting coach. Prior to his role with the men’s team, he served as Assistant Coach for the women’s rowing team. Stangel was a member of the United States senior national team from 2010-2012. In 2011 he was in the Men’s Pair that qualified the USA in the men’s pair event for the Olympics. He graduated from Syracuse in 2007 with a degree in Health and Exercise Science. After Syracuse, he attended and rowed at Oxford University from 2007-2009 where he served as vice president of the University Boat Club from 2008-2009. Justin’s wife, Elizabeth, is the new Athletic Director at Sacred Heart Greenwich. He serves as Director of Youth Rowing and Head Girls Coach. Reid joined PCRA after serving two years as an Assistant Heavyweight Coach at Princeton University under the direction of Head Coach, Greg Hughes. During this time, the Tigers were Rowe Cup Champions at Eastern Sprints in 2016 and all heavyweight athletes medaled at 2016 IRA National Championships. Johnson was directly responsible for the Novice program. Prior to his tenure at Princeton, he was the Novice Boys Coach at Saugatuck Rowing Club, where he led the team, racing as the second varsity, to a gold medal at the Northeast Regional Championships in 2015. That followed an undefeated fall and a highly successful spring season including championships for the Novice Eight at Head of the Riverfront, Housatonic and Schuylkill. As an athlete, Johnson rowed at Hobart College, where he served as team captain and won multiple Liberty League and New York state championships, as well as dual wins over Michigan, Williams, Trinity, and Bucknell. He graduated in 2013, earning a degree in History. Before arriving at Hobart, he was a multiple-time New England Championship medalist at the Salisbury School, where he was a three-sport varsity athlete. Madison joined the PCRA family in the Spring of 2018 as an Assistant Coach for the Development Team. She recently graduated from Iona College in New Rochelle, NY with her BBA in Marketing and Economics and is pursuing her MBA in Management currently. 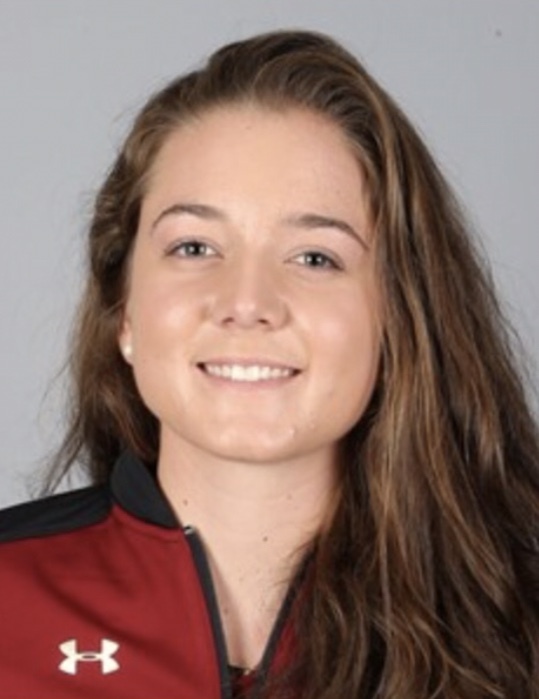 Kirch joined the Iona College team as a freshman and after an arm injury fell into her role as coxswain. She led the Women’s Varsity 8 in the MAAC Grand Final in 2016, setting the Iona record for fastest women’s 8 in the school’s history under coach of Tom Dougherty. Madi was a leader and played an active role in leading the team to the best seasons they had in decades. She continues to cox on occasion for the PCRA Master’s women as they prepared for the Head of the Charles in Fall 2017 and the Summer 2018 season. Elizabeth started rowing at PCRA as a freshman in high school and rowed for PCRA all through high school. While in high school she was recruited and rowed for Boston College where she competed in the ACC championships and the Head of the Charles. Elizabeth competed for BC for three years until she retired due to a hip injury. While at BC she coached at PCRA for two consecutive summers, including in 2018 to run PCRA’s learn to row camp. Having recently graduated from Boston College where she earned a degree in History and Classics, she now assists year-round in coaching the Girls Youth Team as well as PCRA’s Masters. Ryan is an 11 year veteran of the sport and began his rowing career his sophomore year at Iona Preparatory. He then went on to row at Iona College, where he was a multiple time medalist at the MAAC Championships and the Spring and Fall Metropolitan Championships. During the summer of 2016, he went on to row for the New York Athletic Club. While there, he won gold at club Nationals in the men's intermediate quad and placed second in the men's under 23 eight at Canadian Henley. Ryan is also an experienced coach; first starting at Iona College with the men's program, then moving to Rockland Rowing Association where he coached adaptive, development, varsity, and high performance teams. He joined the PCRA family this fall and coaches the development team, lessons and is the Assistant coach for the boy's team.